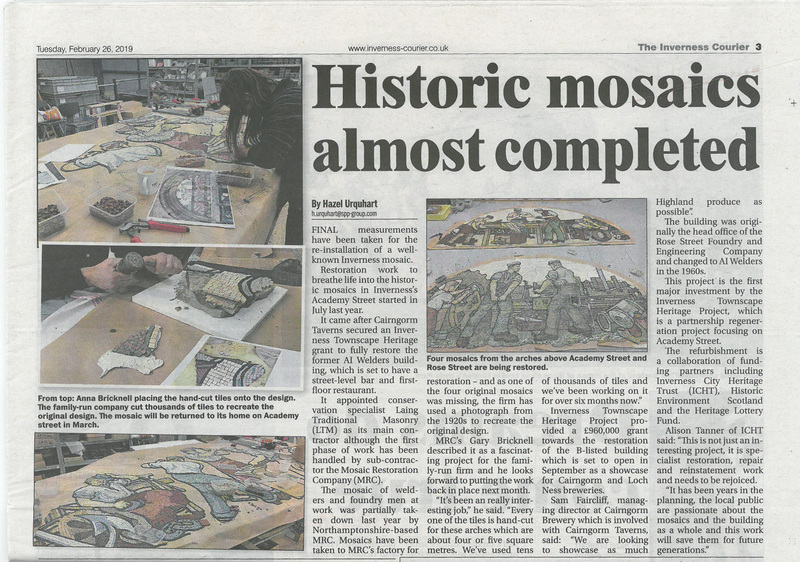 Article on mosaic project on Academy Street, mosaic due to be installed end of March this year. 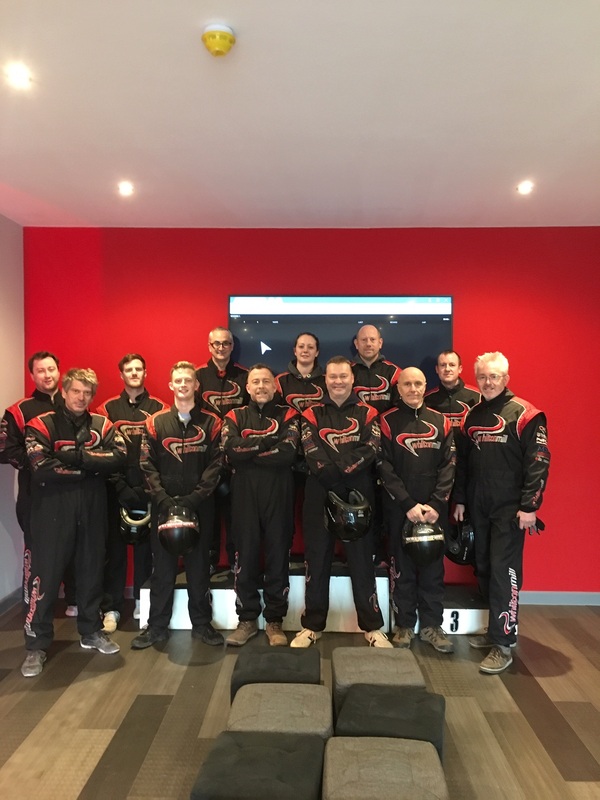 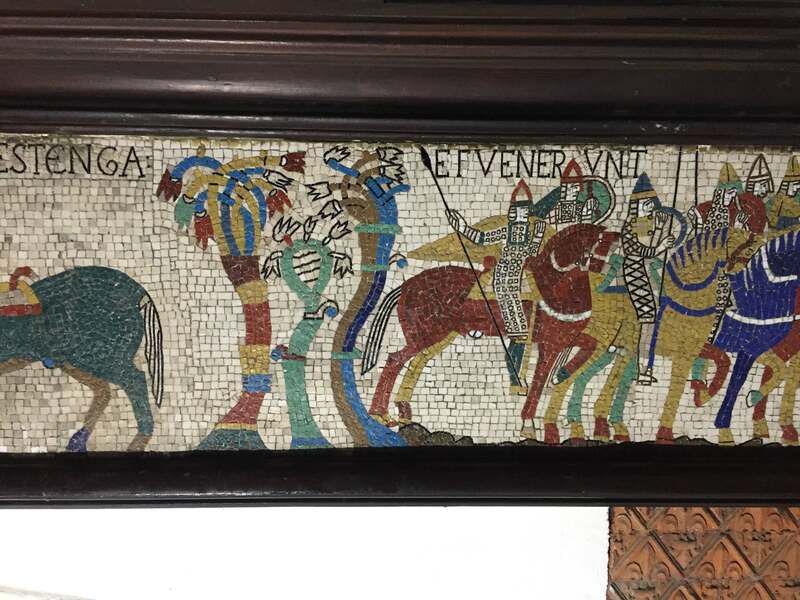 Mosaic Restoration Christmas Race Day! 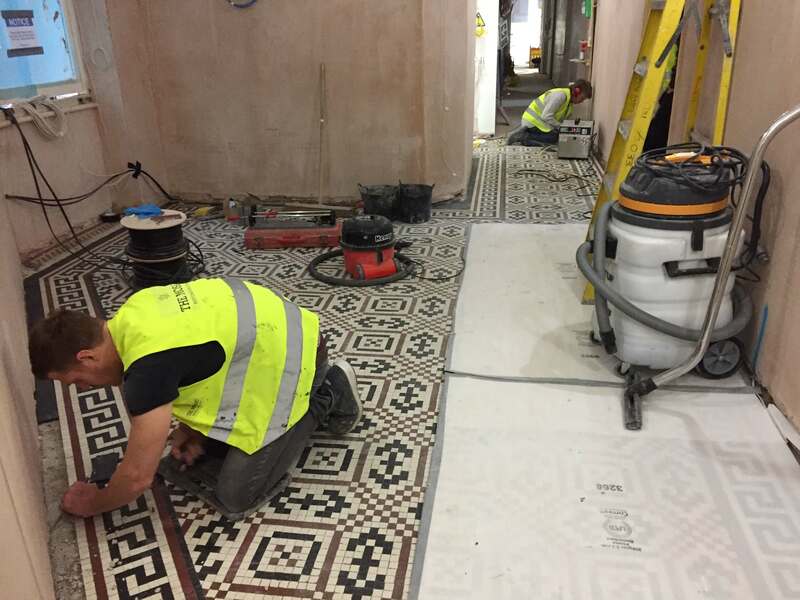 The team currently working on two large Minton tessellated mosaics in Westminster. 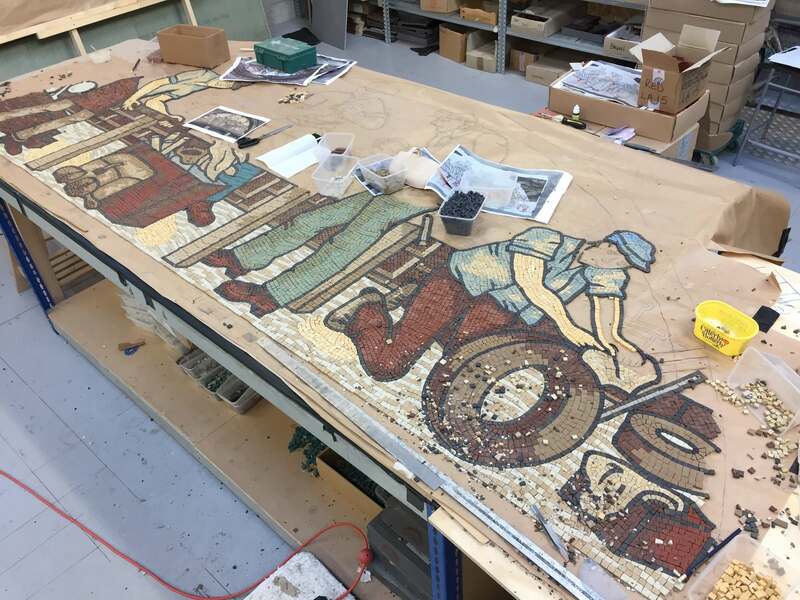 Inverness Project, work continues in the Studio fabricating the missing panel for Academy Street. 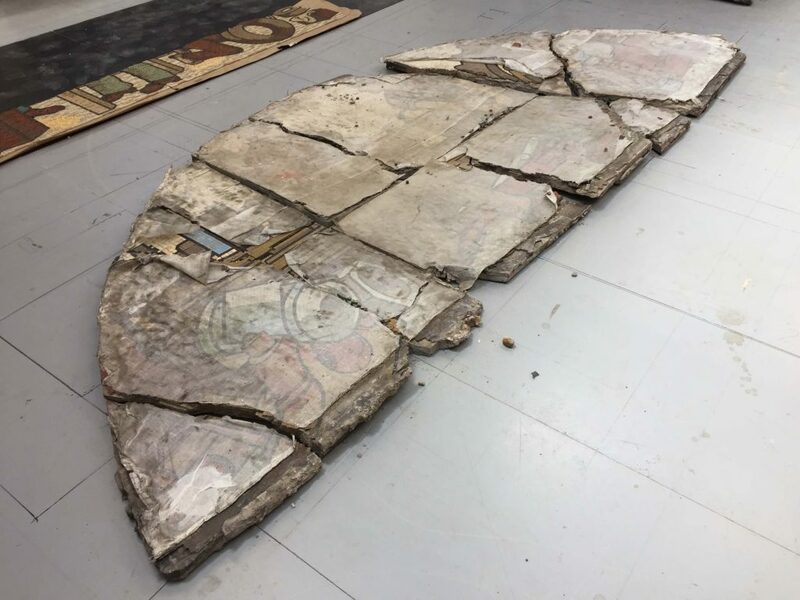 One of the salvaged panels laid out in the workshop ready to reconstruct. 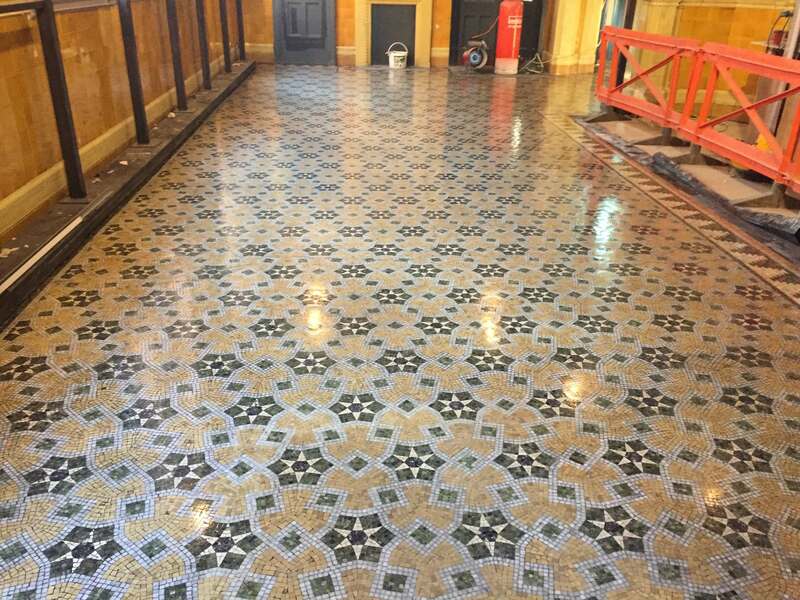 Nice relatively small project restoring the internal and external geometric tiling. 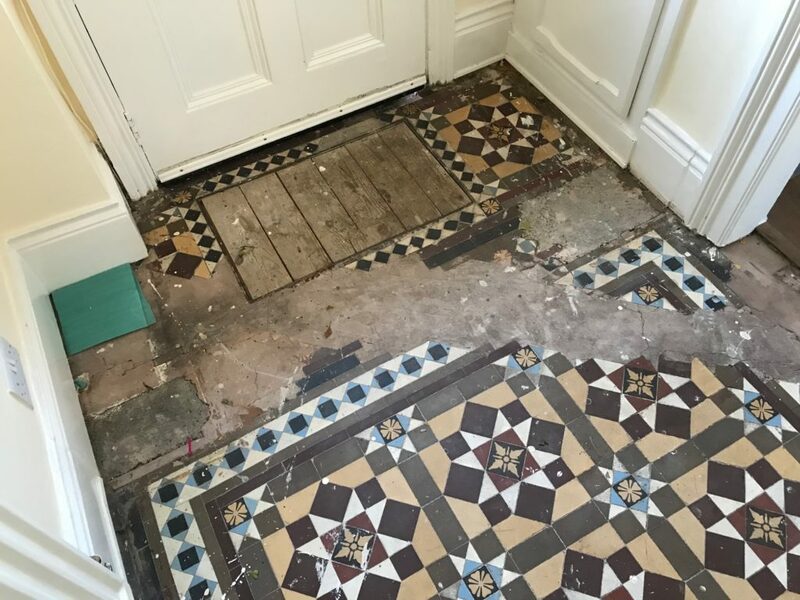 In excess of 200 tiles specially made by Craven Dunnill Jackfield. 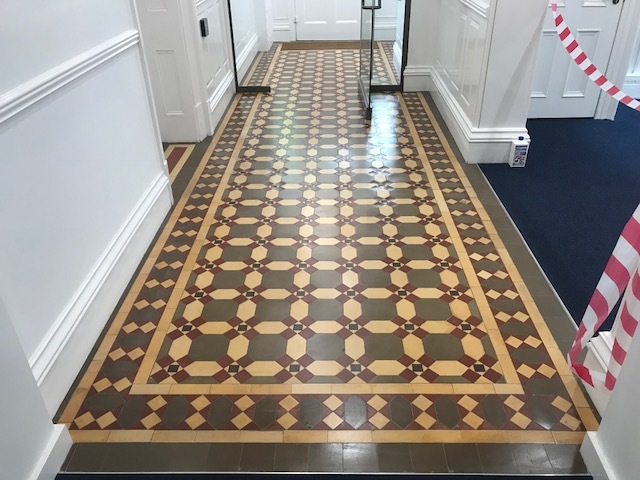 A lovely finished result, on time and on budget. 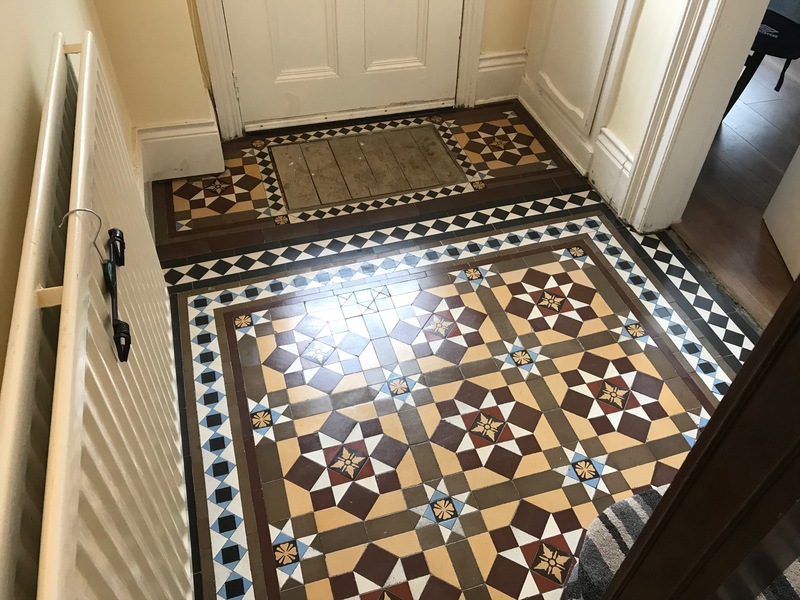 Two new entries to the Projects section of the website. 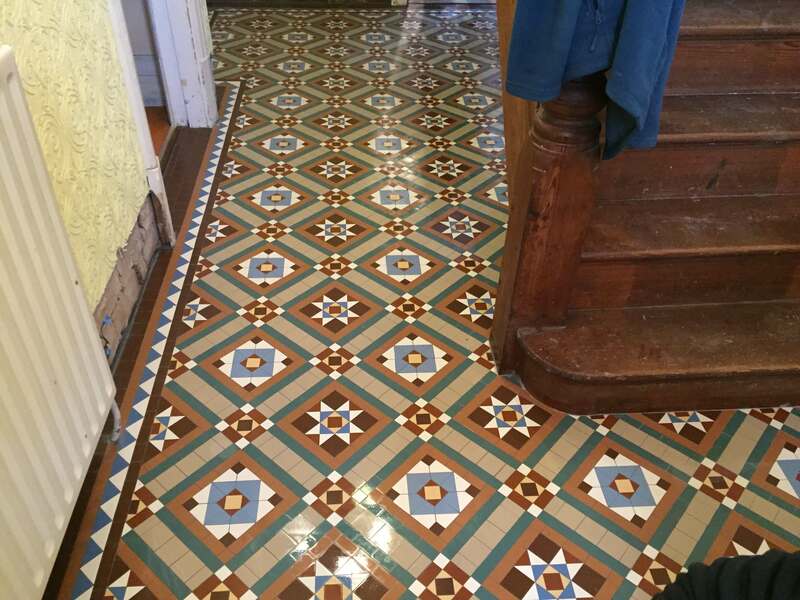 This project received the Sussex Heritage Award. 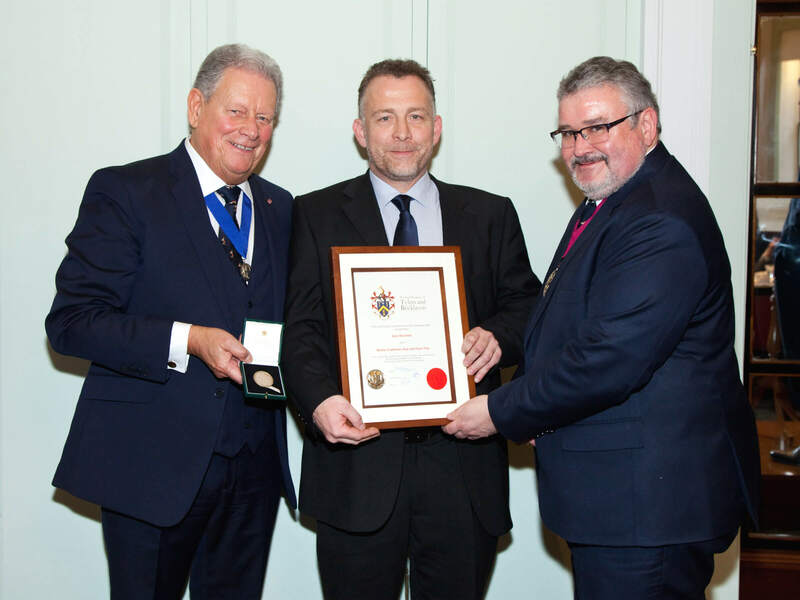 Gary was awarded ‘Master Craftsman Wall and Floor Tiler’ on 5th March 2018 by the ‘Worshipful Company of Tylers and Bricklayers’ at Trinity House, London. 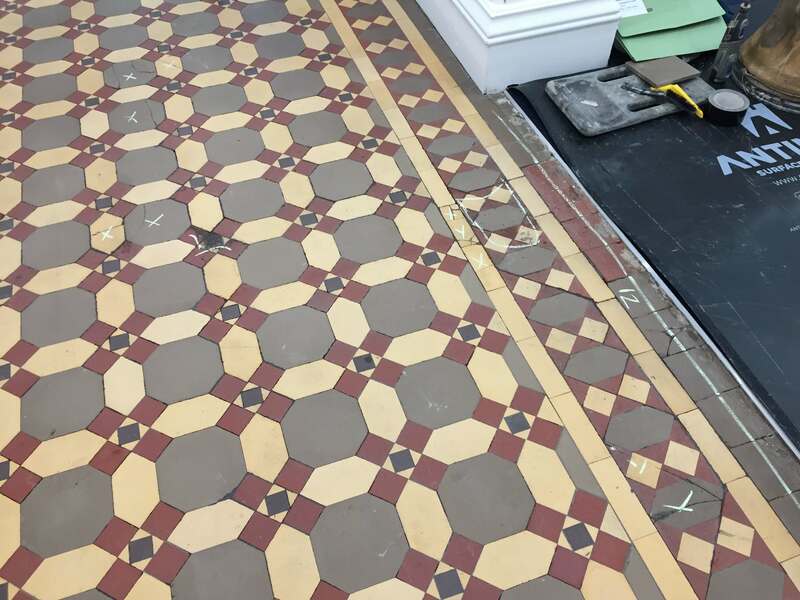 Private house in Leicester, new bespoke geometric tile installation.